Miss Kitty is a beautiful dapple gray Quarter Horse mare. Kitty came to us with severely overgrown feet and depleted muscle tone. It has taken some time, but she has now started to show good muscle tone and her feet are well on their way to recovering. She is still a little tender footed, and her stride is currently a bit off but she is improving daily. Kitty has a very affectionate personality, and is most definitely a "LOVE ME PLEASE!!!" type of horse. The history we received on her was that she has had all sorts of training under saddle and was used as gaming horse and cow horse. Because Kitty is still working toward a full recovery of her feet we have only done mostly ground work with her. She can be pushy on the ground & nippy at times because she is looking for treats, but the more we work her the better she gets! Casino Royal (aka Cassy) is a Morgan cross mare that is not gaited. She is large pony size with a strong solid frame. She is very gentle spirited and a mild mannered mare that had several foals before coming to us at the rescue. Cassy does prefer to live on the lazy side of life. She can be VERY stubborn about doing more than a walk, but she has not bucked or spooked when asked to work. She simply bulls up and doesn't want to move out. 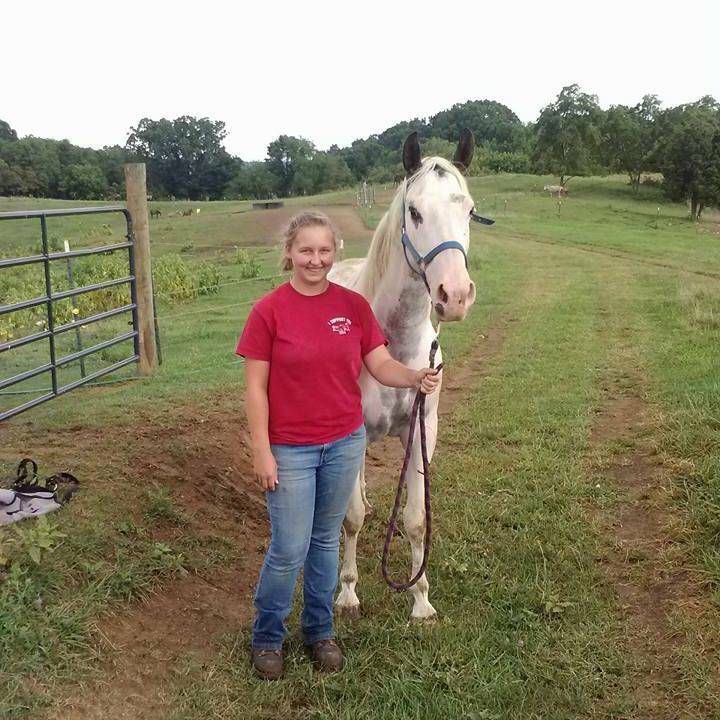 Cassy has many miles of trail experience along with being used as a lesson horse at the rescue and at summer camp. She is safe for beginner riders, but we recommend an intermediate rider if you want to do more than a walk. In the field she has a docile and passive personality that gets along with any other horse. Ryan is an Irish Sport Horse who was a trained eventer and hunter/jumper who was shown at the collegiate level. Ryan has bilateral navicular in his front feet and needs special shoes. His workload should be limited, and we recommend that rider weight is considered for Ryan. With great ground/field manners along with a sweet temperament under saddle, Ryan would be ideal as a beginner lesson horse. 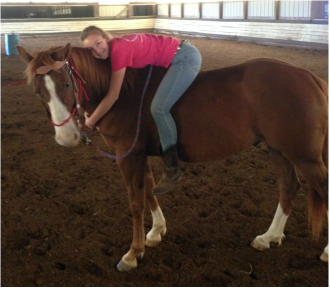 Darla is a 16 hand Oldenburg Mare who is a beautiful mover and eager worker. This mare LOVES to work. Trained as an eventer, this horse has the attitude to do it all. Darla has good field manners, but she can be a little restless while alone. We have also found that she can be a little restless when initially being groomed and tacked, but as soon as the bit goes in her mouth, she settles down realizing that it is time to work. Darla is a forward mover, and we would recommend an intermediate to advanced rider for her who is not intimidated by a forward moving horse. She picks up her leads easily, and will calm into a smooth collected trot that you can sit to. This horse is a sweet girl and still has a lot of life left in her. She would be a great horse for a rider beginning in low level eventing, hunter jumper, or dressage. ﻿ALL OTHER TRAIL RIDE RULES APPLY TO THIS SPECIAL:﻿ All patrons should review our Rules and Regulations for further trail ride and special event rules or ﻿contact us﻿ if you have further questions. 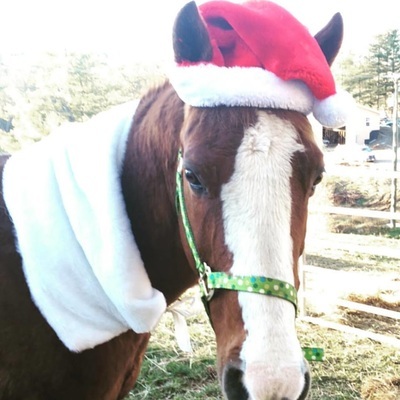 ​If inclement weather arises during our Valentine's Day trail Ride Fundraiser rescheduling dates are available but trail ride must already be scheduled for February 10-18th prior to being eligible for rescheduling due to inclement weather. It's that time of year to enjoy our special Valentines trail ride again! This fundraiser is a great idea for singles, couples, and groups- everyone is welcome! For an incredibly beautiful, romantic, and fun one hour trail ride that includes a BOGO certificate for The Mockingbird Café bag lunch along with a sweet treat and a bottle of NON-alcoholic sparkling cider provided by The Williams Gang. All booked trail rides include an instructional demo for riders, safety helmets, a trail guide, and amazing views from horse back!Valentine's Day is a day of love, and we hope you'll come share the love when you help to save a horse, Ride-A-Rescue!! Visit our online store to make your quick and convenient purchase! ​Offered d﻿ate: After purchase, the customer has from February 10th until February 18th to redeem their trail ride package. After February 18, 2018 coupon is only valid for its purchase price and may only used toward a trail ride with Ride-A-Rescue Inc. The coupon cannot be applied to any other specials or discounts with Ride-A-Rescue Inc.
Other details: BOGO coupon is only valid for a bagged lunch, and is not exchangeable for any other options or discounts, and cannot be sold. Coupons must be used prior to the expiration date listed on the coupon (February 24, 2018), and the entire value of the coupon must be redeemed on one visit. The included dessert is baker's choice. Reservation details: Reservations are REQUIRED a minimum of 48-hours prior to the desired trail ride time, and ALL cancellations must be made 24-hours in advance! Other details: You must redeem your pre-purchased trail ride by April 30, 2018 to receive the full promotional discount. If you do not redeem your ride by 4/30/18 then your purchasing cost will still be valid but not for the discounted rate. PROOF OF PURCHASE REQUIRED: MUST BRING your order receipt or gift certificate, as proof of purchase, to your scheduled appointment to receive credit for your ride. ALL OTHER TRAIL RIDE RULES APPLY TO THIS SPECIAL: Please check Rules and Regulations for all trail rides (see below) for other trail rules or contact us of you have questions. if you are interested in using a Ride-A-Rescue horse you MUST contact RAR directly no later than 3/18/17 to make appropriate arrangements. You are NOT guaranteed the ability to use one of Ride-A-Rescue's horses! PLEASE pre-register for the trail ride/poker run (especially if you pre-pay) so that we can make sure to have plenty of parking, playing cards, and food available. If you are considering using one of Ride-A-Rescue's horses you MUST contact them no later than 3/18/17 to make arrangements, available horses are limited! Trail Ride Poker Run, Dinner and Music! Join Ride-A-Rescue for a Trail Ride/Poker Run that will be followed by a Hot Dog Plate dinner and Live Music! We will be hosting a Fundraiser to help raise money for our friend and farrier, Randy Tuck, who is currently out of work due to his injury. The Trail Ride/Poker Run will span over 400 acers of scenic trails that are wooded, open fields, hills and some water crossing, lasting 4-5 hours. You can choose to simply trail ride or you can participate in a poker run along the way! Prizes will be offered for the best and worst hand. A Hot Dog dinner plate will be offered in the evening along with live music! Proof of current Coggins is required. Be onsite, registered and ready to ride by 12:00 p.m. on April 1st. Please call ahead for trailer parking information, 540-320-1697. August 23, 2014 10:00 a.m.
Join us as we partner with Resthaven Farms for our First Annual Trail Ride and Poker Run fundraiser for the American Heart Association. We will be riding for 4-5 hours over several miles of wooded trails over 400 acres down to the New River. Snacks will be provided at our pit stop by the river, and we will have burgers and hot dogs for dinner after the ride. We will be crossing water and climbing hills.Trails are well marked and the scenery is beautiful! Unfortunately, we cannot accommodate wagons. Primitive camping is available for the nights of August 22 and 23. For those camping with us on the night of Aug 22nd, we will have games (barrels, poles, potato race) set up in the arena, $3 a run! These will be for fun, but we will have small prizes for fastest times. If you participate in the Poker Run portion of the event, we will have prizes for the best and worst hands! Don’t have a horse or a way to haul your own? Rent one of our seasoned trail horses for a fee. 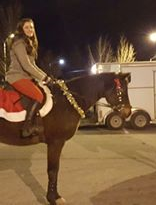 Proceeds from renting a horse benefit the rescues at Ride-A-Rescue. Contact us at ridearescue16@gmail.com or call 540-320-1697 to find out more. Proof of current Coggins is required. Be onsite, registered and ready to ride by 10:00 a.m. on August 23. SHARE THE LOVE FOR VALENTINES DAY!! 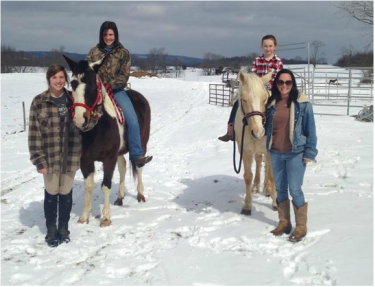 Take a trail ride and raise money for hay for the Ride-A-Rescue horses!! 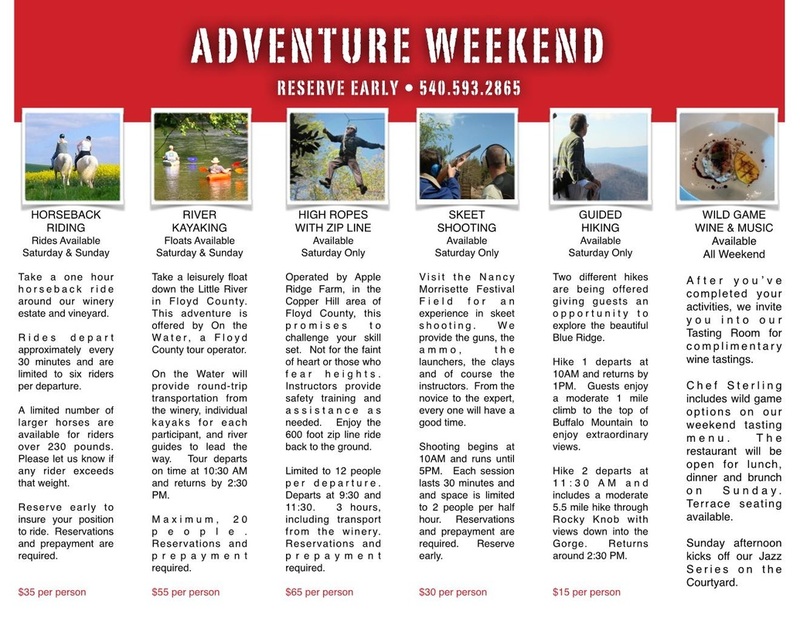 Over view: Ride-A-Rescue will be providing trail rides for singles, couple and groups! Trails are an hour long, you will get a photo of you and your valentine to take home along with a photo frame to keep your memory in; PLUS you will go home with a sweet treat to share for the holiday provided by Professional Catering Inc. and get a BOGO coupon for a bag lunch at Mockingbird Cafe so you and your sweetheart can grab a bit to eat together also. ​Its time for the Fall Fun show!!! Come have fun with your horse and help raise money for Ride-A-Rescue a 501c3 non-profit. There will be classes for riders of all skill level, kids and adults, western and English, and timed events!!! There will be ribbons for riders and prizes for the class winners. Prices are for pre-registry, prices increase on day of! Entry fee for trail challenge: $10 pre-register, price increases the day of! ​We have had several adoptions this past year and we want to congratulate all of our adopters on their new family additions and we look forward to hearing about their progress with each other. Visit our Success Stories page to see more photos of our rescues at their new homes. We have more pictures to come, so keep checking back! ​Thank you to all of our volunteers and patrons for their support at this year's Sinkland Farms Pumpkin Festival and Winterfrost's Fall Open House. We had such a wonderful time at both events and we hope you did too! Your support will help us feed our rescues through the winter, which comes as a huge relief to us! For pictures of the events, visit our Past Events Page. Do you have photos to share with us of your experiences with Winterfrost Ride-a-Rescue? Post them to our Ride-a-Rescue Facebook site and we'll add them to our website and news feed. 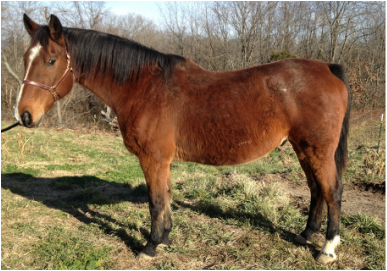 Check our Available Horses Page to see some of the new horses we have available for adoption. 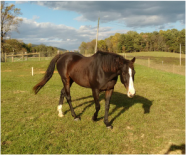 If you don't see a horse that fits your needs, then contact us at raradoption@gmail.com and let us know what you are looking for. We have many horses that come and go through our facility, and we may be able to find one that fits your needs. We had a great turn out on Saturday and Sunday for our Spring open house. Thank you to everyone who came out to support us over the weekend, and of course, thank you to all of our volunteers who helped make this all possible! We hope to see you again for our next event. Visit our Facebook page and share your photos from your weekend with us. We would love to hear your stories! We have recently updated our website to include the profiles for some of our horses available for adoption. 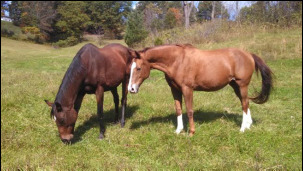 Check out the link to our available horses to learn more, and continue checking in for more updates from us! ​Take a look at some of our horses, captured beautifully by Burdette Photography! You can find some of the rescue horses available for adoption at our adoption page. Take a one hour horse back ride around our the Chateau Morrisette winery estate and vineyard. Rides depart approximately every 30 minutes and are limited to six riders per departure. A limited number of larger horses are available for riders over 230 pounds. Please let us know if any rider exceeds that weight. Reserve early to ensure your position to ride. Rides are $35/person, and reservations/prepayment are required. To make a reservation call 540-593-2865. 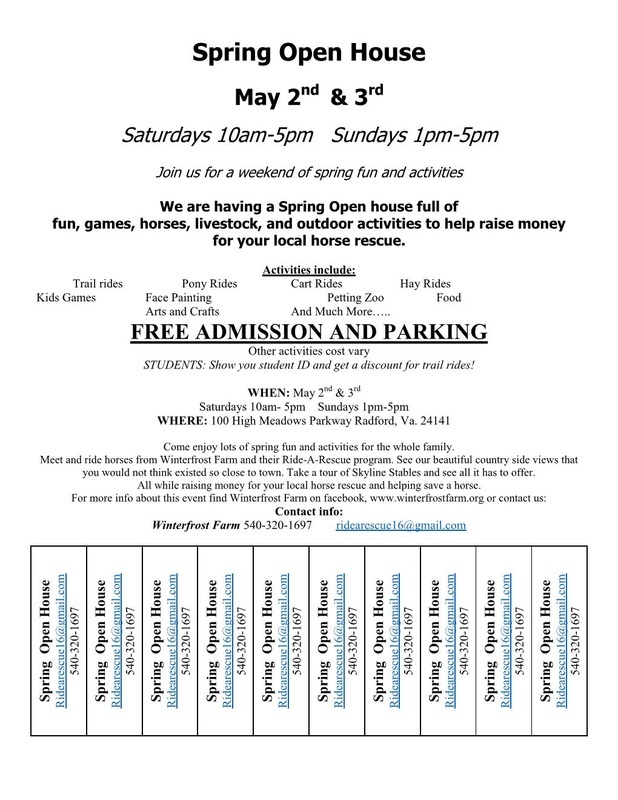 Join Winterfrost Farm at their Spring Open House held at Skyline Stables in Radford, Virginia. Come learn more about what we do as a rescue operation and how we do it! We have miles of trails amidst the beautiful Blue Ridge Mountains for you to enjoy. The weekend will be full of fun activities fit for the entire family including pony rides and face painting. Meet some of our rescue horses whom are available for adoption, and ride some of our other rescues which will be used for the weekend trail rides. Help us spread the word of our upcoming Spring Open House! Download our flier to post in your communities. We hope to see you there! Join us for our second annual Fun Show and Trail Obstacle Course benefiting the American Heart Association. Both events will be held at Skyline Stables in Radford, Virginia. Fun Show - This is a great opportunity to practice with your horse prior the show season getting underway. This schooling show will feature some friendly competition with classes for riders of all skill levels - children and adults. Ribbons and prizes will be awarded to the class winners. Sign up for 8 or more classes and get more for your money! See below for the pre-registration form and a list of the show classes and show pattern. Trail Obstacle Course - This is another great opportunity to put your teamwork skills with your horse to the test, but this time on the trail. This trail course will have three competitive classes - open, amateur, and youth (under age 13.) The trail will feature 10 obstacles which will be strategically placed along our 400 acre farm. The obstacles will be based on the obstacles/challenges used by the American Competitive Trail Horse Association (ACTHA). See the link below for an overview of our farm layout and a list of the obstacles we will be implementing for the obstacle course trail. All prices are for pre-registration. Prices will increase on the day of the event. To register for classes, complete the pre-registration form(s) above and click submit. You can also contact us via email at ridearescue16@gmail.com or phone (see below.) If contacting us via email, please include Fun Show/Obstacle Course Registration in the subject line. *All participants are required to bring a current copy of their horse's negative Coggins the day of the event. Click on the image to the right for a complete list of the show classes and pattern for the Fun Show. Click on the image to the right for an overview of our farm layout and a list of obstacles that we will be utilizing this coming weekend. You can visit the ACTHA website to learn more about the obstacles listed. Join Winterfrost Farm at Celebrating Fall Festival in the beautiful Blue Ridge mountains of Southwest Virginia! Enjoy fun fall activities for the whole family. 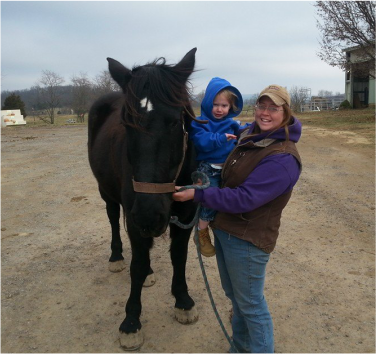 Meet and ride horses from Winterfrost Farm and their Ride-A-Rescue program. Enjoy our beautiful countryside views Take a tour of Skyline Stables and see all it has to offer. Free admission and parking. Activity costs vary. Proceeds will be split between our Ride-A-Rescue program and the American Heart Association. Want to help but have no time? We are thrilled to receive donations! Donate through PayPal. At this time, donations are NOT tax-deductible. We are in the process of filing for 501(3)c non-profit status. Please "Friend" us on Facebook to receive the latest updates.